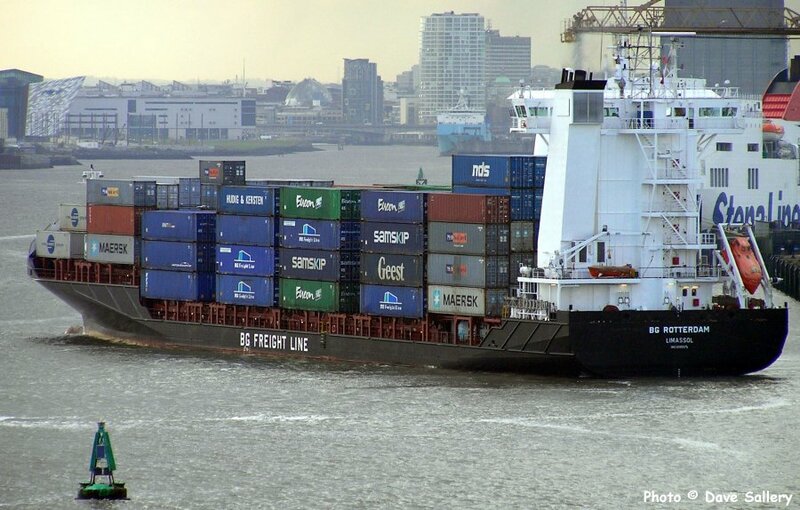 BG Rotterdam at Belfast container terminal. 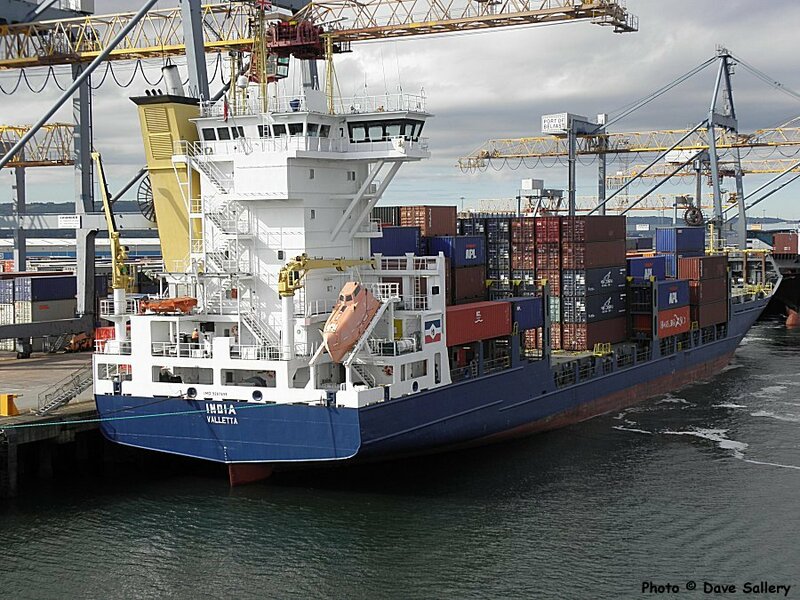 Iris Bolten, Belfast container terminal. 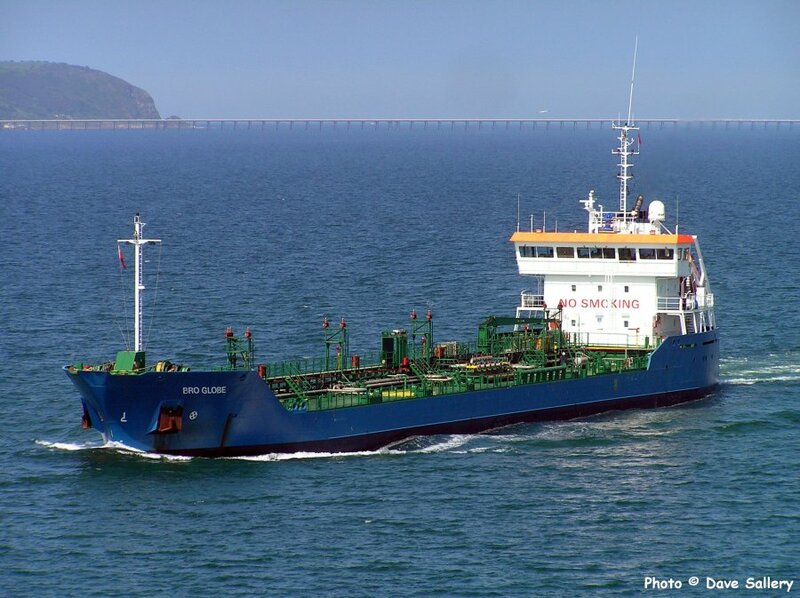 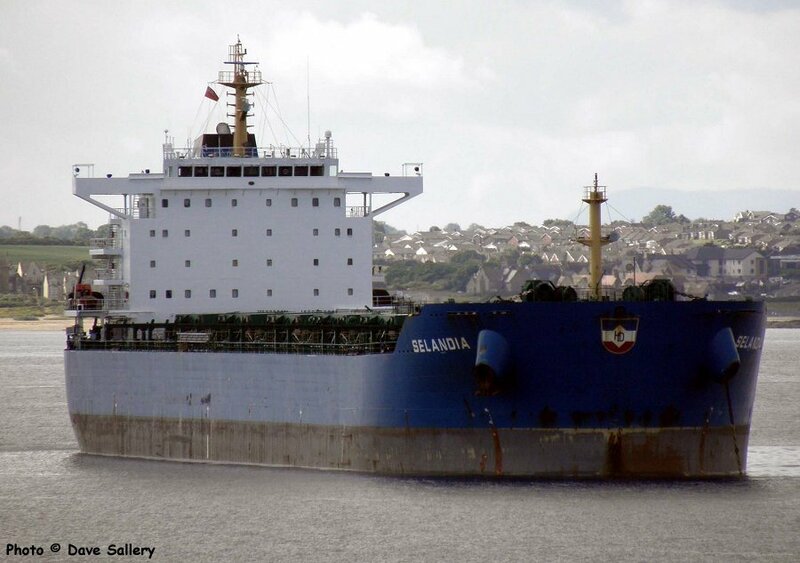 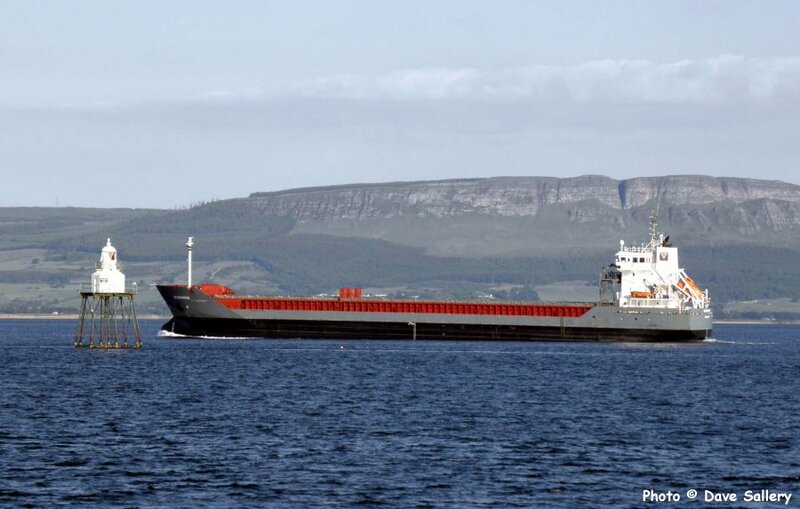 Bulk carrier Selandia anchored off Bangor. 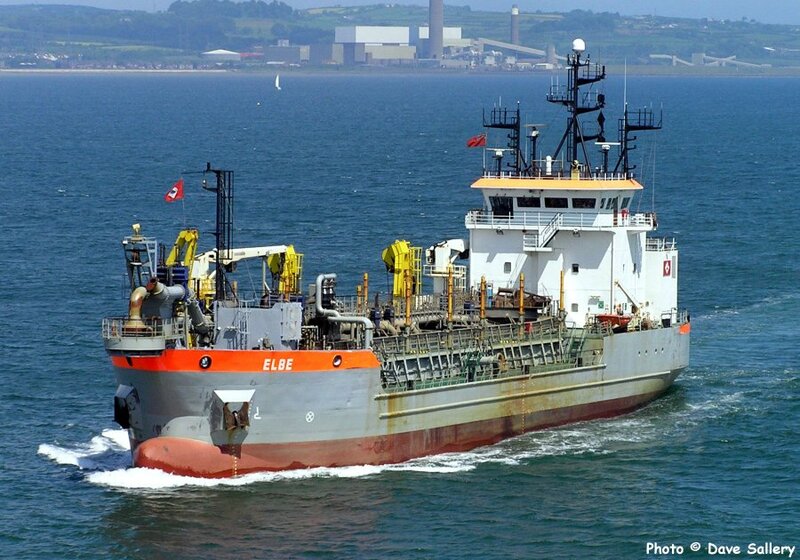 Dredger 'Elbe' in Belfast Lough. 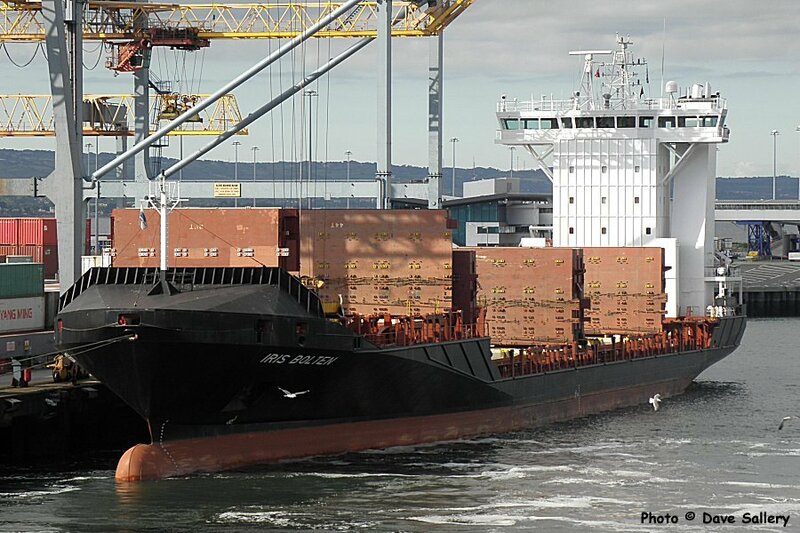 India at Belfast container terminal. 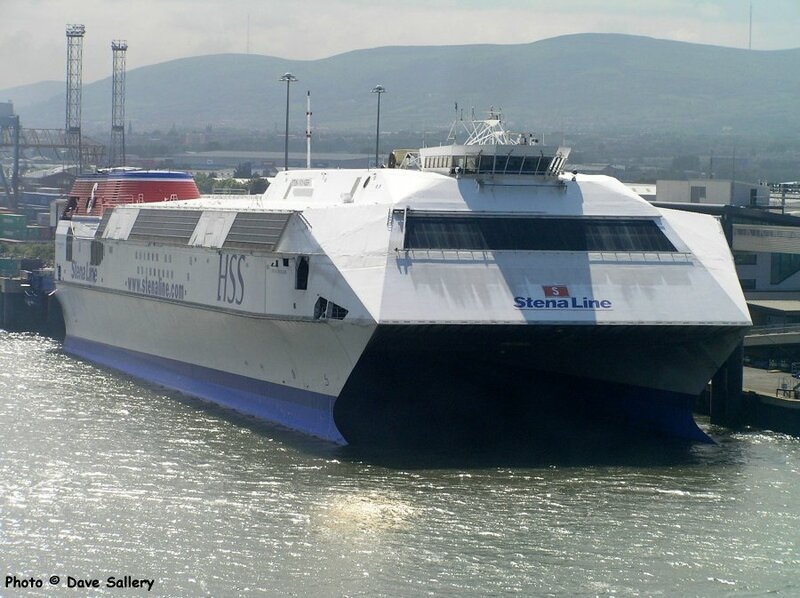 The Stena HSS high speed ferry laid up after withdrawal from service. 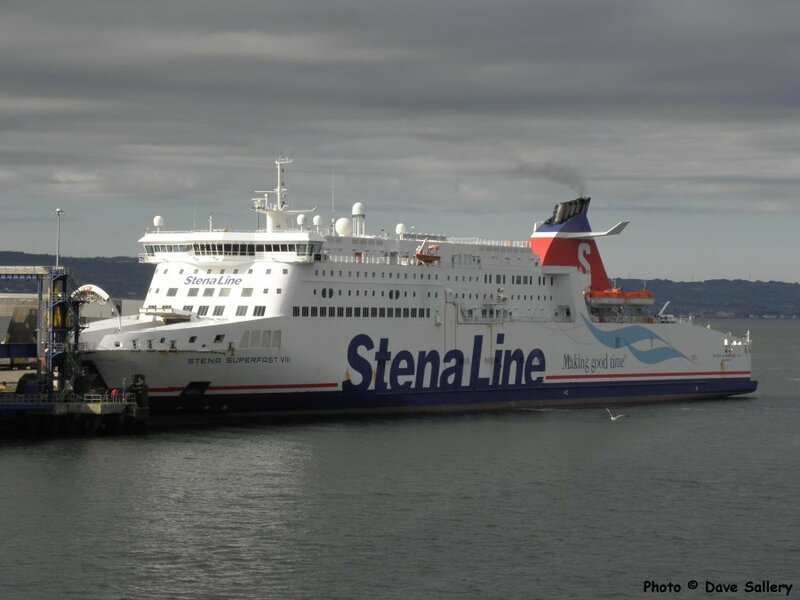 Stena Superfast VIII on a sailing from Cairnryan. 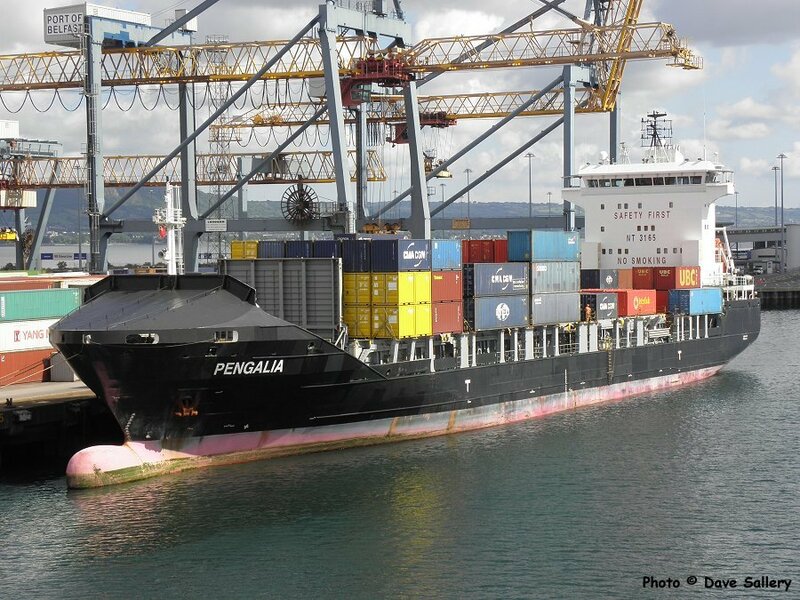 Pengalia at Belfast container terminal.